Most of the country is just beginning to feel sunshine and higher temps, which might give enterprising people seasonal business ideas for warm weather—the time of year when customers are out and about, looking for bit of sunshine in their lives after a long and dreary winter. If you’re in a seasonal business, you know exactly what we’re talking about: Your ice cream shop is jammed with customers, or maybe your taco truck’s seeing lines around the block for the lunch crunch. But if you’re looking to start a seasonal business during warm weather months and don’t know quite where to begin, you’ve still got plenty of opportunities (and time!) to get your shop off the ground. Here are just a handful of the best seasonal business ideas for warm weather, as well as the banking and loan considerations you’ll need to make if you want to set your seasonal business up the right way. 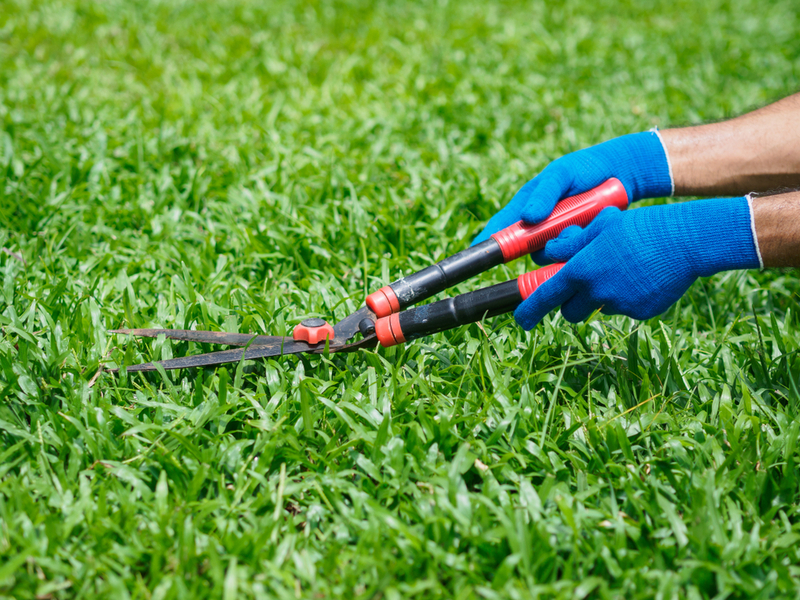 Lawn care, landscaping, and gardening is a great seasonal business idea for anyone who loves to get their hands dirty and put in a good day’s work. The barrier to entry is low, and depending on your state, you may not need additional certification or licensure. Although you may need to buy specialized equipment, many homeowners have their own tools that you can use on-site, too. First, you should register your lawn care or landscaping business as a business entity to protect your personal assets against any legal action—say, if you accidentally spill fertilizer all over someone’s patch of authentic major-league ballpark grass, and they come looking for restitution. Since you’re probably starting out on your own, the easiest solution is to register as a sole proprietorship or LLC. Next, you’ll want to make sure you have a separate business checking account to collect payments and pay for supplies. For larger purchases, consider applying for a business credit card. A cash back business credit card is a great option for most businesses, since it gives you (you guessed it) cash back that you can reinvest into your business—so, who knows, you may end up with the funds to make your landscaping gig a year-round endeavor. 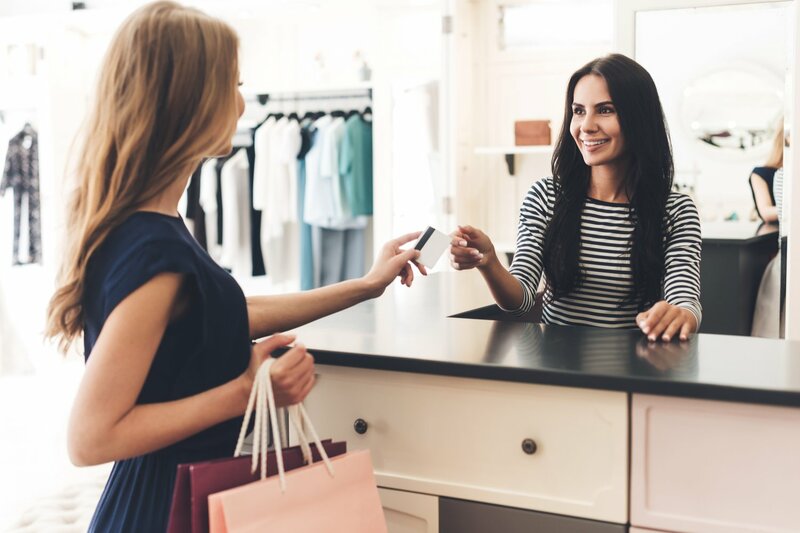 Take a look at the Capital One Spark Cash for Business credit card for its straightforward, but valuable, cash-back program: Every time you use this card, you’ll get 2% cash back on your purchase. Plus, there’s no cap on the amount of cash back you get, so go ahead and buy as many tools and materials as you need. Whether you’re starting out fresh or expanding your existing restaurant empire, starting a food truck is a great seasonal business idea to take on before the summer gets in full swing. By opening a food truck, you avail yourselves to customers where they already are—at the beach, a park, or near great summertime activities like beer festivals and concerts. To paraphrase an old classic: If you serve it, they will come. Before you gas up your truck and turn on the griddle, make sure you have all of the requisite vendor permits, licenses, and official government sign-offs. The permitting process can take some time, so be sure to factor this in while you determine your strategy. Next, you’re going to need equipment. If you need to purchase or lease a food truck, consider an equipment financing loan. These loans are self-collateralized, which means that the lender will sell that equipment to recoup the debt in the off-chance that you can’t pay back your loan. This helps loan-seekers get the gear they need for their business, without having to put their own assets on the line. Once you’ve got your truck, you’re going to have to make sure you’re fully stocked with ingredients. A business line of credit can go a long way toward helping food truck owners buy basic goods and materials, while only borrowing the money they need at any given time. With a business line of credit, lenders allow you to borrow up to a certain amount of money, meaning that you’re free to use less if necessary. And you only pay interest on the money you need, rather than a big lump-sum loan (like a traditional term loan). Someone’s got to get all of those food truck patrons into shape, right? If you’re an exercise buff or sports fanatic who wants to turn a passion into a job, then this is the season to get cracking. If you’re an aspiring personal trainers, do a basic Google search—chances are high that your local gym runs a personal-training certification program. Note that this won’t necessarily be the case if you’re looking for seasonal work as a sports coach. Regardless of which path you take, if you’re serious about your fitness career, you’re going to want to set up a legal business entity for your work. Be it an LLC or a sole proprietorship, creating a legal entity for your work helps you keep your invoicing, payment, and liability issues straight. Next, you’ll want to consider two big financial factors: real estate (if you’re opening up a physical location for your shop, like a pop-up shop), and equipment (if you need to buy exercise machines, weights, or coaching tools). A term loan can help you finance the right place for your shop. Most term loans are used to finance a one-time purchase or investment (like commercial space). You would then be responsible for paying back that lump sum of cash on a regular schedule, at a fixed interest rate, over a set amount of time. If you’re in the market for new equipment, then consider an equipment loan. If approved, your lender will front you 80 to 100% of the cash you need to buy those kettlebells and resistance bands (or any other gear you need), and you’ll repay them in regular installments. Since equipment loans are self-collateralized, they pose less risk to the lender, so lenders are a little easier on the borrowers they choose to work with. That means you might get away with a lower credit score and a shorter financial history than you’d need to secure a traditional term loan. Spring and summer months bring out the shopper in all of us, especially as outdoor markets and garage sales abound. If you know your way around a toolbox and a paintbrush, you can get started on restoring, reclaiming, and reselling all that secondhand furniture. After setting up the requisite business entity and opening up a business bank account (are you starting to see a theme here? ), you can start looking into financing options for your furniture restoration business. If you already have a garage, backyard, or studio space in or around your home, your biggest expense isn’t going to be rent. Rather, you’ll need a way to purchase all the tools and materials necessary for refurbishing, reupholstering, and generally beautifying all that old furniture. A business credit card is probably your best bet, since it’s the easiest way to meet those various, day-to-day expenses. If you anticipate stocking up on extra-large purchases when you first get your card, consider a 0% intro APR business credit card. These business credit cards basically act as interest-free loans for as long as that 0% intro APR period lasts, so you can take your time paying down your new toolkit without worrying about exorbitant extra costs. Not only does the American Express Blue Business Plus credit card have no annual fee, but it also carries one of the longest 0% intro APR periods of any business credit card we’ve seen—12 months on purchases and balance transfers, to be exact. After those 12 months are up, your APR will set in at a rate that will vary with the market Prime Rate, so be sure to see the issuer’s terms and conditions for the latest APR information. 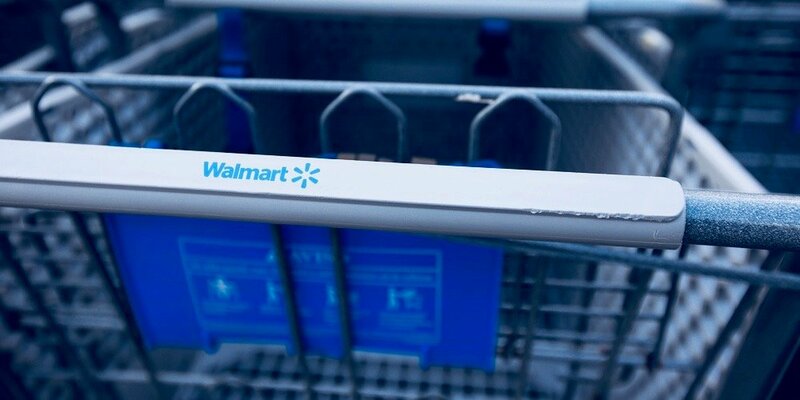 Alternatively, if you find you’re doing the bulk of your shopping at specific stores, like Home Depot or Walmart, consider applying for the store’s business credit card. Everyone knows that early summer is primetime for home improvement. And that means that there’s no better season to get your side hustle as a house painter underway. Your first step toward success as a house painter is setting up a business entity and opening up a business bank account, which will help you establish yourself as a bona fide business owner. Better yet, having a positive banking history associated with your business means you can set yourself up with the biggest and best small business loans down the line. After all, painting requires a fair amount of material costs, and you may as well find a solid, steady way to pay for gallons of paint every month. But it can be tough to secure a small business loan right off the bat, especially without that long financial history and great credit score most lenders want to see. Start boosting your credit score and establishing your credit history by using a business credit card for building credit, which’ll also cover your basic material expenses for now. If your credit score is a little low to qualify for most of the business credit cards you’ve seen, consider the Capital One Spark Classic for Business card. 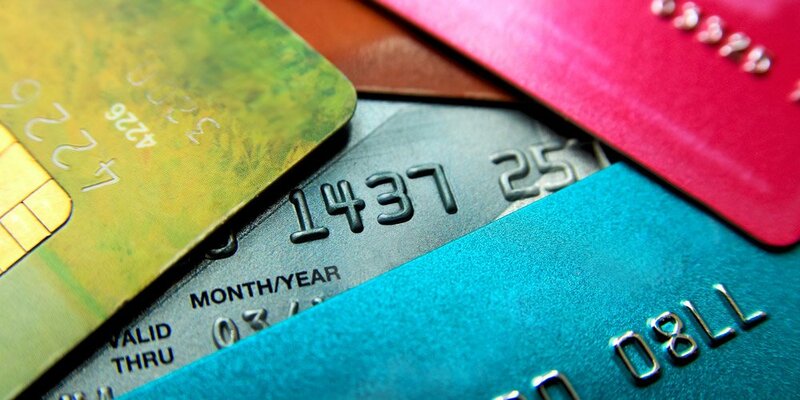 You only need a minimum credit score of 550 to apply, which is among the lowest you’ll find from a major card issuer. You’ll also get 1% cash back on all your purchases on this card. After using this card responsibly, you can graduate onto even better business credit cards for your house painting business—and position yourself nicely for a small business loan once your seasonal business really takes off. Just because school’s out doesn’t mean that kids need to stop learning. If you’re a teacher who’s looking to make the most of your summer vacation, or a college student who would love to make a few extra bucks, tutoring can be a lucrative side hustle during the off-season. Registering your business as a sole proprietorship or LLC makes you look more professional, and can help protect you against any legal issues that may arise (say, if a parent tries to sue you because their child didn’t get into an Ivy League school). But best of all, establishing a business entity means you can open a business checking account. Having a business checking account means you can keep cash in the bank specifically for tutoring expenses like test prep books and learning aids. This way, you’ll know exactly what account’s being used to pay for which items, and you can track your business’ profits and losses much easier. Most tutors may also benefit from learning how to create an invoice or, better yet, using a template in order to take the guesswork out of billing their clients. If you love spending warm-weather months outside, and sharing the beauty of nature with others, then you may as well get paid to do both! Being an outdoor adventure guide is a great seasonal business idea for anyone who has hiking and camping experience, first aid training, and loves to meet new people. If you’re just starting out as an outdoor guide, make sure you’re certified in first aid and CPR. And if you’re looking to open up your own shop, you’ll definitely want to file as a business entity in your state, and get insurance for your company in case anyone gets hurt while on one of your tours. As an outdoor guide, your biggest expenses will probably be marketing, equipment, and supplies. You’ll need to buy camping and hiking gear for you and your clients, purchase food supplies if you intend to offer cooking on your excursions, and potentially spend some money to get the word out about your services. If you want to keep expenses down, though, there are tons of free marketing techniques you can use to attract your ideal customers. But those other expenses are pretty much non negotiable. Getting a business credit card is an easy way to fund most purchases, given that the business credit card application and approval processes are relatively easy. As a thrill-seeker, you’re probably always itching for your next adventure. And if you use a travel business credit card, you’ll have in hand a flexible way to finance your seasonal business while earning miles or perks that’ll help you pay for next season’s trip. The Capital One Spark Miles for Business credit card offers a solid, flat-rate rewards program and a generous signup offer: You’ll earn 2 miles for every dollar spent, and a 50,000-mile bonus if you spend $4,500 in the first three months of owning your card. Also, they’ll waive the $95 annual fee your first year, so you can use that extra cash toward purchasing that state-of-the-art camping gear you’ve been eyeing. So long as it’s legal to sell fireworks in your state, operating a seasonal shop is a great way to capitalize on a hot commodity during warm-weather months. 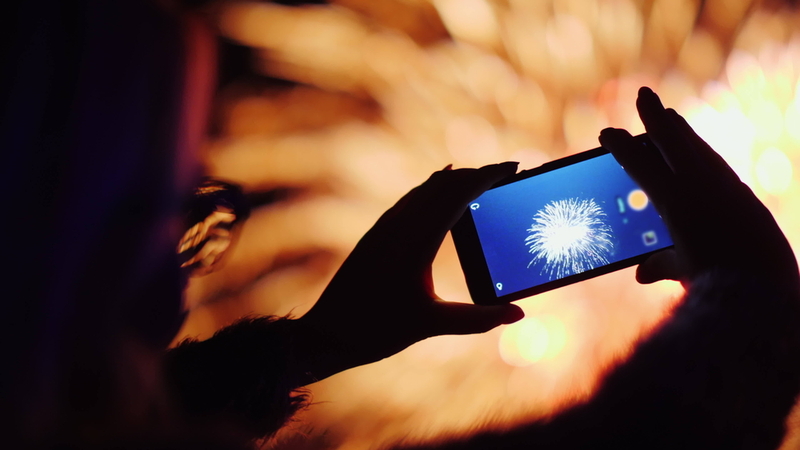 Even though your inventory might be designed to explode, opening a fireworks shop isn’t all too different from setting up any other small business: You’ll want to register as a legal entity in your state, scope out real estate, open up a business bank account, and be sure you can cover your inventory and operating costs. Chances are, demand for fireworks will increase a ton around a certain date in early July. And you may find yourself without the capital you need to fulfill all those orders in time. In that case, you may want to consider securing a short-term loan from an online lender. These loans have the quickest turnaround from application to approval to funding, so they’re a great option if you need cash fast. Repayment periods are short, too, so they’re the best option if you need funds for a one-time project with a specific end date—as most seasonal businesses do. Do be aware, though, that short-term loans are one of the more expensive loan options out there, so be absolutely sure that your business has the financial bandwidth to repay your short-term loan before seeking one out. 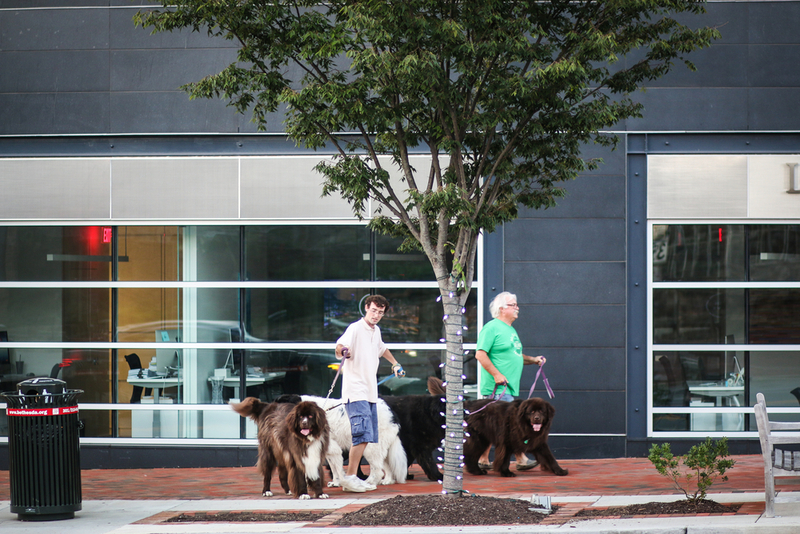 Summer is peak vacation season, but not every family trip can include pets. This is where you come in. If you’re an animal lover who has experience keeping our furry friends happy, fed, and comfortable while their families are away, this is a great time of year to take on some work as a pet sitter. You’ll get to play with cute critters, raid someone else’s fridge, and make a little bit of extra cash along the way. Thankfully, it’s pretty straightforward to begin your pet-sitting side hustle. All you’ll need is a sole proprietorship (so you can operate under a legal business entity), liability insurance (in case something goes wrong with a client’s beloved pet), and a little bit of operating capital to buy treats and other sundries while you’re on the job. Especially in the early months of the business, most seasonal pet sitters can get by with just a business credit card, since expenses tend to be fairly low. And since you’ll often be driving to clients’ homes, it makes sense to find a card that earns you cash back on gas. Summer is one of the busiest months in the real estate market, which means that there are plenty of folks who need help moving into a new house or apartment. If you’ve got a keen eye for packing and the strength to move bulky furniture, then starting a seasonal moving service is right up your alley. Unlike some of the other best seasonal business ideas, setting up a moving business is a bit trickier—if you want to do it the right way. Sure, everyone’s seen a flyer on a telephone pole for a “man with a van”-style movers who may or may not have any kind of liability insurance. But if you want to be legit, you’ll need to get the following: a business entity, licenses (depending on your local laws), and liability insurance. Next, you’ll need to think about financing. You’ll need a moving van or truck, hand trucks and other kinds of moving equipment, and smaller items like tape and moving blankets. There are plenty of loan options for each of these items—be it an equipment loan for a moving truck, a business line of credit for larger moving equipment, or a business credit card to pay for day-to-day expenses. If you hire a team to help you with your moves, you should always leave room in your budget to cover payroll. But if times are tight, you can consider taking out a flexible loan, like a business line of credit, so you can always pay your staff, no matter what. Everyone loves having a pool in the summertime, but very few pool owners want to deal with the upkeep. With a bit of know-how and the right tools for the job, you can open up your own pool maintenance company in a few simple steps. Licensing to start a pool cleaning business depends on your state. Some states only require you to have a business license and the right tools for the job. Others, like California and Florida, have stricter requirements that mandate a certain number of years’ experience before hanging your own shingle. Either way, you’ll need to begin by registering a business entity and getting your local permits in order. Once you’ve got the go-ahead from your state or local government, you’ll have to ensure that you’ve got the right equipment. You’ll need a van or a truck, for starters, as well as pool supplies and chemicals. If you need financing for your vehicle, consider taking out an equipment loan. These loans are designed to help business owners purchase—you guessed it!—equipment. Banks collateralize the equipment you’ve purchased, rather than requiring you to put up your own money or property to secure the loan. You’ll also have to think about buying supplies. Pool cleaning requires chemicals and other frequently restocked materials, which means you’ll need to look into a business credit card or a business line of credit to keep replenishing your supplies with minimal hassle. Embarking on a seasonal business idea means playing to your existing strengths. 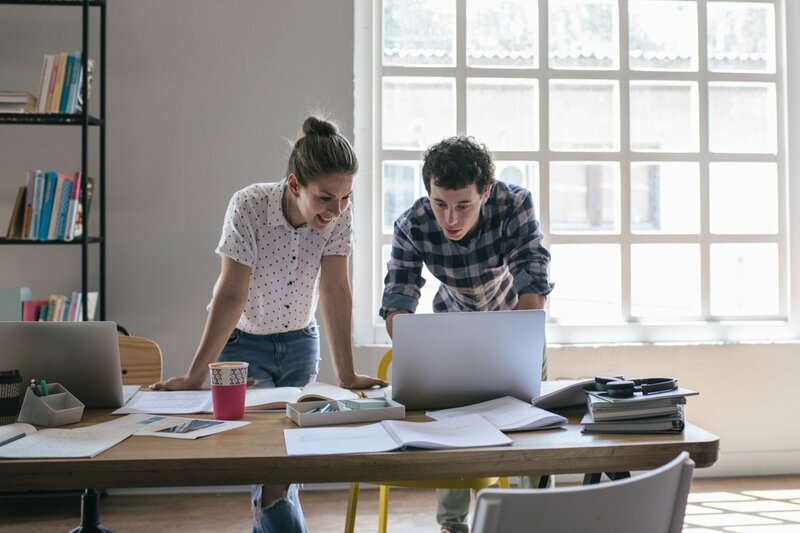 Whether you’re a tutoring rockstar or a pyromaniac that loves Independence Day, there’s a potential business opportunity waiting for you to jumpstart this season. Once you complete a few basic, but essential, steps—like registering your business entity, opening a business bank account, and applying for a business credit card—you can get cracking on a business that makes the most of the sunshine and warm weather. And no matter what business you pursue, there’s a lending option out there to help you make it happen.